People who embody living history are few and far between. 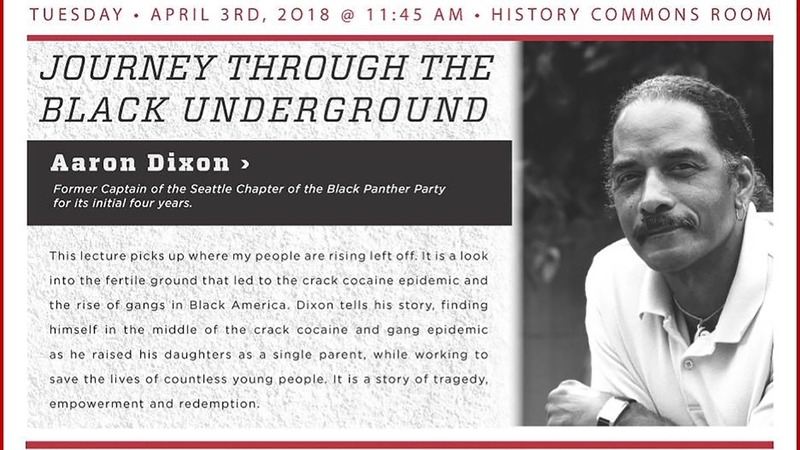 Don’t miss this opportunity to connect with Aaron Dixon, former captain of the Seattle Chapter of the Black Panther Party, speaking on the topic: Journey Through the Black Underground. 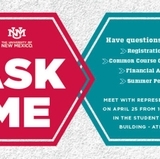 Dixon will speak Tuesday, April 3 at 11:45 a.m. in the History Commons Room on UNM’s main campus. Presented by the Africana Studies Program, this lecture picks up where “My People are Rising” left off. It’s a look into the fertile ground that led to the crack cocaine epidemic and the rise of gangs in Black America. Dixon tells his story, finding himself in the middle of the crack cocaine and gang epidemic as he raised his daughters as a single parent, while working to save the lives of countless young people. It is a story of tragedy, empowerment and redemption. This event is sponsored by UNM’s Division for Equity and Inclusion, the Men of Color Initiative, and the Albuquerque chapter of The Links, Incorporated as part of their Black Lives Matter Initiative to address and improve campus climate at The University of New Mexico.